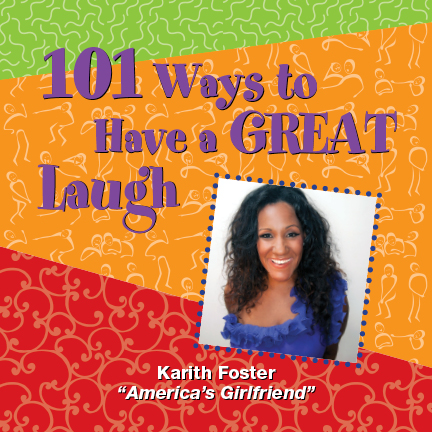 Laugh Your Way to Happiness: 101 Ways to Have a Great Laugh is a fun, feel good, easy to read book by professional humorist, Karith Foster. Karith, who has been making people laugh her entire life, decided to take some of the magic she shares with her audience from the stage to paper- since not everyone who could use a good laugh gets out to comedy clubs. Karith literally gives you 101 ways to find a chuckle whether by yourself or shared with friends, family or co-workers. And, the author doesn't mind if you keep her book in the bathroom. *A portion of the proceeds from the purchase of this book goes to the Comedy Cures Foundation which brings comedy and laughter to those who are battling cancer and their caretakers.